This week as we observe the sometimes unexplainable fascination we have with British Royalty I was reminded of what we here in the United States tend to consider Royalty. Elizabeth Taylor who passed away recently is a great example of how we replaced the British Royalty we revolted against with our obsession with the stars of Hollywood. 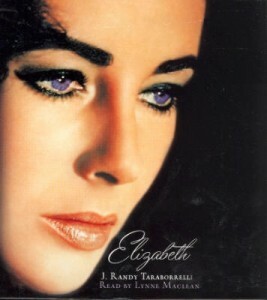 For those who have not been exposed to the glory days of the movies of the 50’s and 60’s it may be hard to understand why so many people cared about stars like Elizabeth Taylor. Besides her obvious beauty was her life which had many ups and downs. For some they were turned off but for most they made her seem that much more human. As we look on at the Royal Wedding preparations and coverage for the wedding of Prince William and Kate Middleton it is hard not to be reminded of Princess Diana who like Elizabeth Taylor took her fame and used it to help others. What other people in the United States do you consider royalty? When looking at our own country you can’t help think of the Kennedy’s and of course many of the other Hollywood stars that fascinated us so not just then but for a long time to come. The above stars have bios available at our downloadable audio book store.Enjoy the wedding royal wedding festivities! Please note, we also have coupons available in honor of both Alcohol Awareness Month and National Humor Month. Since I did not get this post up sooner I will extend those coupons into next month.